Law Office of Christopher R. vanRoden, P.A. Eleni is a native of Harford County and a graduate of Elon University in North Carolina, where she received a Bachelor of Arts degree in Corporate Communications. She earned her law degree from the Charlotte School of Law and became a member of the Maryland Bar in 2016. During law school, she participated as a Rule 16 with the Harford County State’s Attorney’s Office, which allowed her to prosecute criminal cases with supervision in the district and circuit courts. Additionally, she was a member of the Family Law Clinic in law school, where she worked with parents in Termination of Parental Rights cases to be reunited with their children. These experiences have allowed Eleni to take a more creative approach to handling custody and other family law disputes. 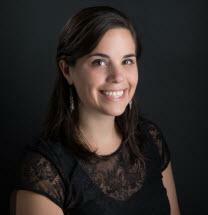 Eleni is also a member of the American, Maryland State, Harford County, and Women’s Bar Associations. She is currently the Newsletter Editor for the Solo and Small Firm Section of the American Bar Association; a co-chair for the Lawyer Wellness Committee and the Harford/Cecil Circuit Representative for the Young Lawyers Section of the Maryland State Bar Association; the Young Lawyer Liaison and Media Chair for the Family and Juvenile Law Section of the Maryland State Bar Association; and the Young Lawyer Liaison for the Harford County Bar Association. Attorney Christopher vanRoden takes pride in offering honest legal counsel and cost-sensitive representation.